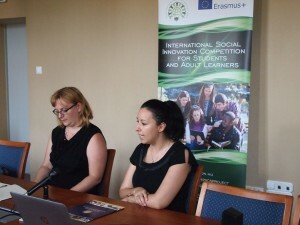 Within the framework of the Erasmus+ Program announced by the European Commission the „I-SICS – International Social Innovation Competition for Students and Adult Learners” project aims to raise the awareness of university students to the most important problems of their regions, and urge them to think in a socially responsible way, so that they can become effective and committed activists of their homelands. 1. The adaptation of good practices in the field of entrepreneurship and student competitions to a new field, that of social innovation. 2. The use of the International Social Innovation Competition as a communication channel, using it as an awareness raising campaign to draw the attention of individuals, companies, media, decision-makers and stakeholders on various other levels to the most important social issues and to urge them to act in a socially responsible way. 3. The creation of a Social Innovation Competition Kit, which will be a ready-to-use package of various materials that can be applied anywhere in Europe. Based on the research results we announced the I-SICS International Social Innovation Competition, to which university/college students or adult learners above 18 could apply. The task of the competitors were to develop up-to-date and useful ideas (products, services or models) which satisfy needs of the society and establish new social cooperation. Each competitor had a mentor who helped during the planning, and in the preparation of the competition. Moreover the competitors also completed a training which is based on the „Social Enterprising Europe (SEE)” program in March of 2016. During the training the competitors also acquired useful entrepreneurial knowledge. 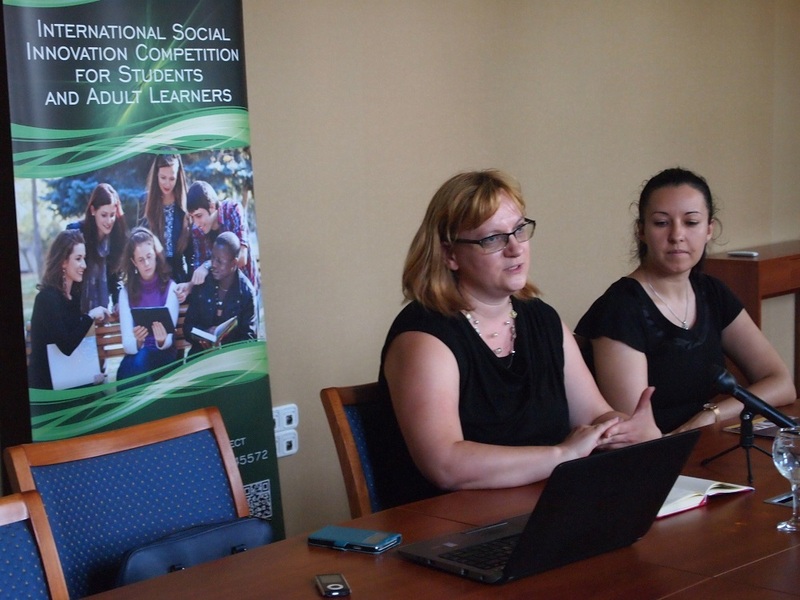 The regional rounds of the I-SICS competition were organised in May of 2016 by all partners, in which students and adult learners presented their project ideas in connection with social innovation. The regionally chosen best placed competitors competed on the international competition in 24-25 of August 2016 in Veszprem, at the University of Pannonia. Beside the competition a workshop were also organized from 21th to 27th of August. The location of the workshop was Balatonalmádi. 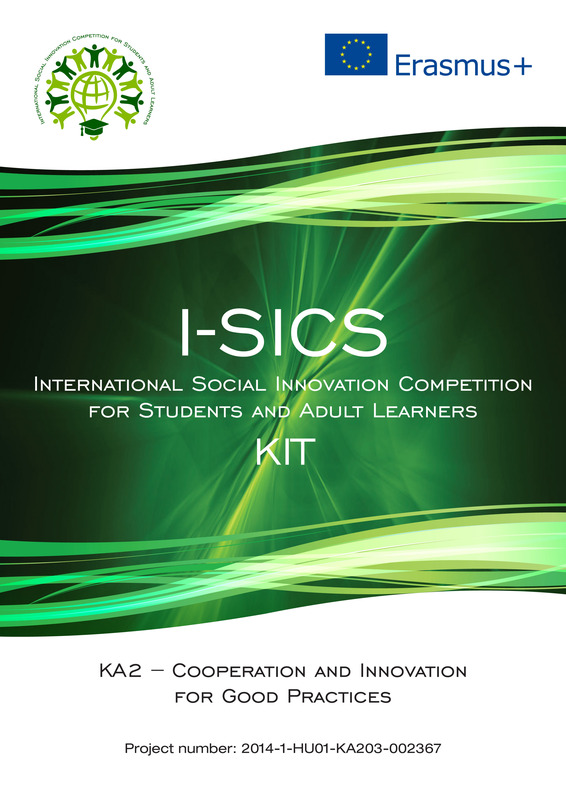 In the framework of the project a Social Innovation Competition Kit (I-SICS Kit) were compiled, which provide guidance to the organization of the competition on the field of social innovation, and can be applied all over Europe. 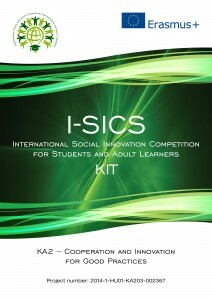 The Kit gives a great opportunity to any institution to organize their own social innovation competition. The Kit contains the good practices, and the experiences collected previously the partners, and shared during the organization of their own competition. The composed Kit is based on the previously mentioned good practices, a guideline to anyone who is interested in the organization of social innovation competition. Within the framework of the KA2-Cooperation and Innovation for Good Practices Erasmus+ Program announced by the European Commission the project will be carried out in cooperation with the following partners: University of Pannonia – Faculty of Business and Economics (Hungary), CVO Antwerpen (Belgium), Europa Consortium (Hungary), BIC Group s.r.o. (Slovakia), Regional Development Agency of Slavonia and Baranja (Croatia), Universitat Rovira I virgili (Spain).